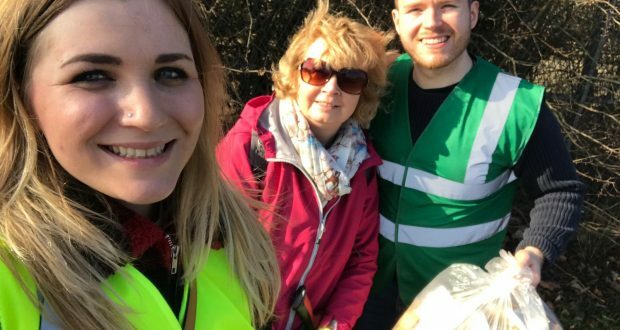 Spalding Green Clean - Evangeline Kirkham, Helen Jenner and Alistair Crisp. A new litter picking group has attempted to deliver over 100 disposable gloves from Sainsbury’s back to the superstore. Spalding Green Clean is meeting every other Saturday to tackle litter in a particular area of the town. The group, led by Alistair Crisp, claims that from one session around Sainsbury’s they picked up more than 100 disposable gloves. Alistair, who is says he is to run as a candidate for the Green Party in the forthcoming local election, said: “We picked up well over 100 gloves which had become entangled in the hedgerows, becoming a hazard to local wildlife and creating an eyesore for residents and visitors using the nearby station. Spalding Green Clean meet at 10.30am at every other Saturday at the Spalding Garden and Lifestyle Centre with the next session on March 30.